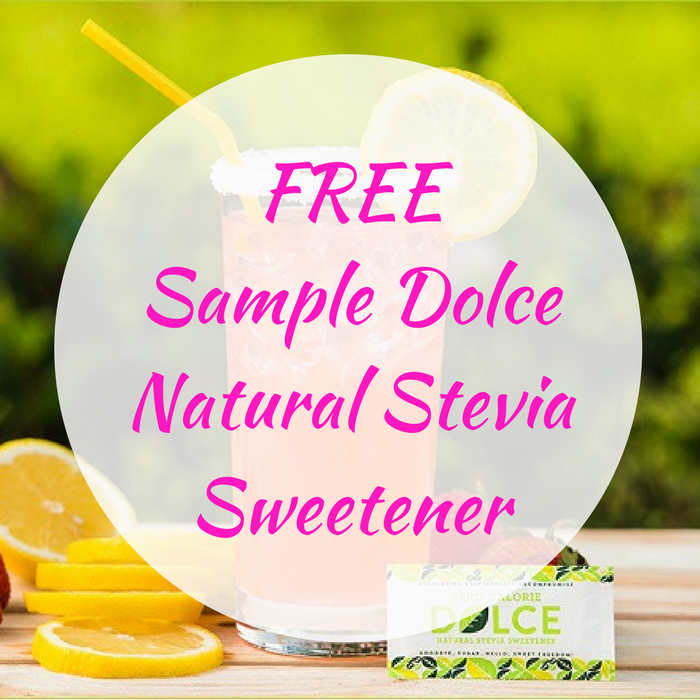 FREE Sample Dolce Natural Stevia Sweetener! You are here: Home / FREEbies / FREE Sample Dolce Natural Stevia Sweetener! While supplies last! Hurry over to Dolce to score 2 FREE Sample of Dolce Natural Stevia Sweetener by just filling out this form! You will also get a promotional code to use on their online marketplace. Nice!